Other info: A couple of weeks ago I figured out how to make MSX games using z88dk, so I thought I wanted to "port" my old Spectrum game to see how easy it is. It was surprisingly hard to find good documentation on the net, but in the end I've borrowed some books from a friend and so I've started so programming. Basically it is more like a complete rewrite instead of a port. The sprites are hardware sprites now, and therefore the rooms are slightly larger, and I have to use a completely new palette. PS. Before I forget, my musician for my Spectrum games only does 1-bit music, so I need a PSG musician too. Great to see you joining the MSXdev, Timmy! 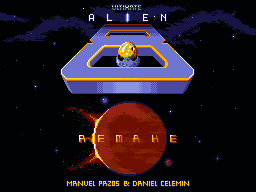 Good luck with your MSX re-make, looks cool! I love this game, simply and fun one. Welcome to the MSXDev, Timmy! The screen looks quite different to the speccy one, really. And the game has a lot of fun. Timmy enter on MSX World... Simply fantastic! Tymmy is a game designer and coder very talented! Heart Stealer on MSX fills a gap, because the MSX version of Uwol not released. Wow! I have seen reviews for that game but I haven't found this one. You're right. I'm not completely happy with how it looks now. The screen seems to be too large. Maybe I will reduce it back to the original screen sizes. 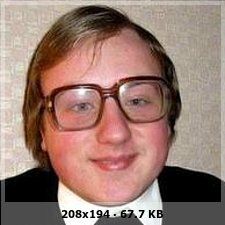 Timmy: feel free to ask any question regarding MSX development in the development section. About adding more colors to the main character, that means adding another sprite plane. As you already noticed, MSX can only handle up to 4 sprites in a row, but I you can accept a little sprite flickering, you can double that amount easily and therefore use 2 colors per character. Without using flickering, you can play with vertical coordinates an use different sprites that do not overlap vertically in the same character. As you can see, that only accounts as 2 sprites in every scan line. Thanks. I will likely install both emulators soon. Thanks you for explaining this trick. I am still thinking whether to keep the original single colour sprites or to draw new ones. They were designed with single colour in mind, and the last couple of days I think I might only update the main character with a vertical split sprite like you were suggesting. But I'm not sure of it yet. Another option to obtain more colors in sprites and limit flickering is to combine software (like on the spectrum) and hardware sprites. For example you could use software sprites for the inner part of the sprite (even using a different color for every line) and use a hardware sprite for the black outline... And u can have up to four of those on a single row without flickering. The drawback is the impact on the background graphics of the software sprites and the additional computation required when multiple sprites overlap but with good level design it's not too difficult. But then the movement is choppy, unnatural, not smooth and playability decays easily. I rather prefer 1 color sprites but smooth than multicolor and choppy. 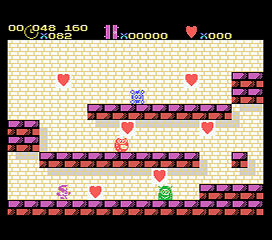 Also remember, the MSX tiles can have multicolor. 2 colors per line. BTW it moves more smoothly than on the video, somehow youtube seem to havea slower framerate. The 3 "monsters" are using software sprites for the red and hardware sprites for the black outline. After a few seconds in the demo I switch to a different color of background every odd line to show you can add more color.